L&M Tactical can produce whatever length lead your department's or organization's handlers prefer. We use standard 1 1/4" wide heavy duty nylon webbing which will resist abrasion during operational use and training. 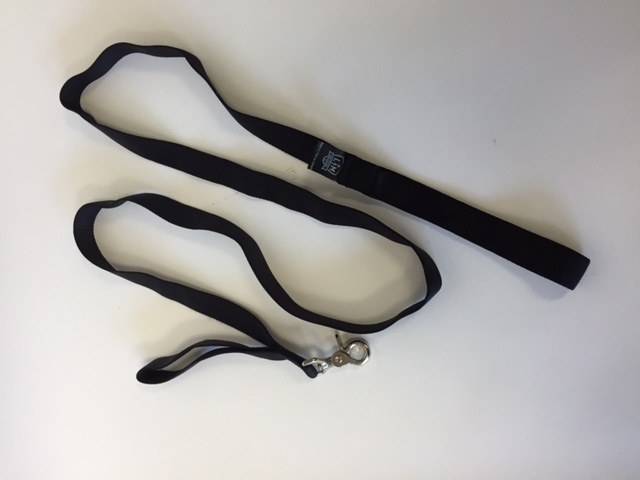 Our standard leads come with a hand loop directly off the slide clip. This allows the handler to easily control the K9 at close proximity instead of rolling up the lead line. We utilize high quality 3" chrome slide clips that are the traditional favorites of K9 handlers. Please contact us to discuss your specific requirements and pricing.